Image | This entry was posted in Abstract and tagged abstract, circles. Bookmark the permalink. Interesting patterns when you stare at it for a while. 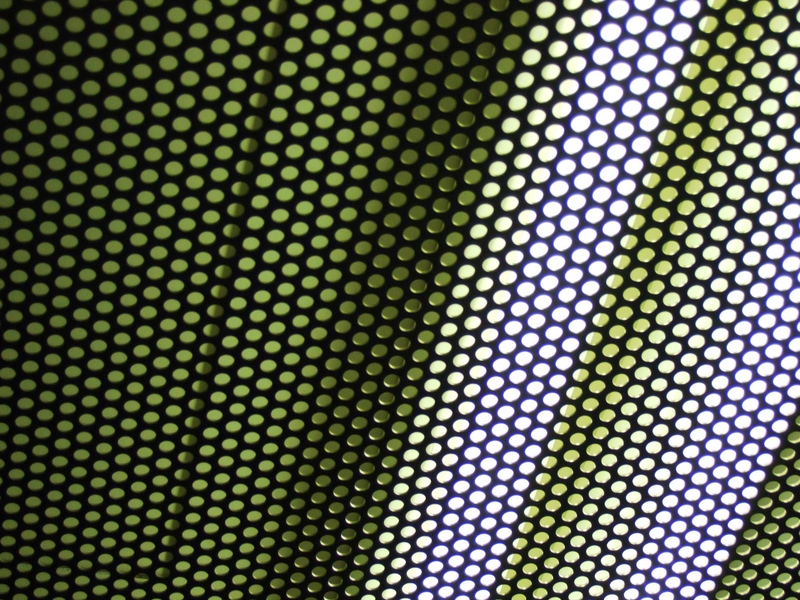 This is fluorescent lighting under a grill on the ceiling of an elevator at a SkyTrain station. Staring at it in real life made me feel dizzy.